3 Grosvenor Terrace 1889 work cost £4260. Burnt and rebuilt. © All rights reserved. 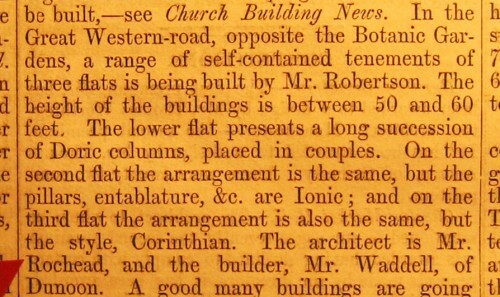 From Builder XIII, 19 May 1855, page 233. Courtesy of Robert Hill.